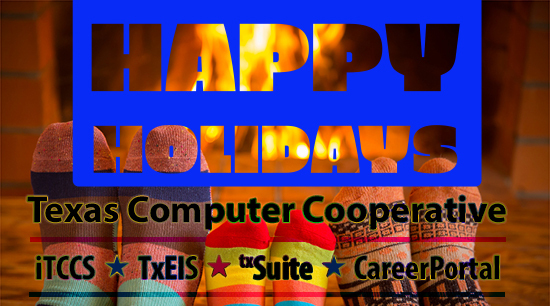 Happy holidays from the Texas Computer Cooperative. We wish you the best holiday season yet. The TCC will be closed from Wednesday, December 20th to Tuesday, January 2nd. See you in the new year! Employee Access has a few changes. A new page allows employees to create, edit, and view leave requests for approval. And now there’s a calendar in which employees and supervisors can view leave requests. Click on a request on the calendar and get all the information you need about it. Nice to be able to see everything at a glance but know that all the data is just a click away. Let us know if you have any questions. 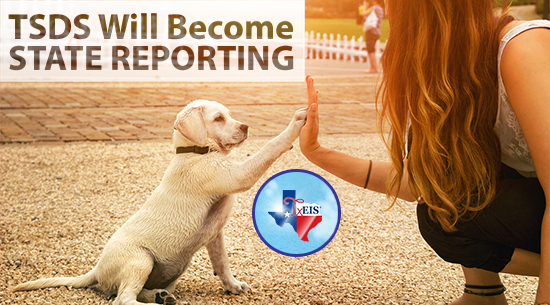 TSDS, a TxEIS application, will soon be called State Reporting. You’ll still do all of your PEIMS TSDS work there. It just means that we’ll be positioned to expand what you use it for. We’ll let you know more as we work, but you can always get in touch with us. 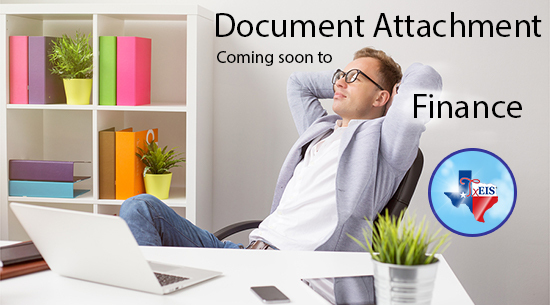 Document Attachment. You’ve known and loved it in quite a few applications so far. Soon two more will have it: Finance and Purchasing. 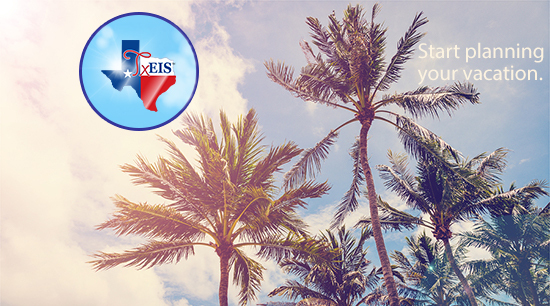 TxEIS keeps pushing to make sure you have the best product you can. Let us know what you think.